FULTON, NY – Taco Bell, a fast food chain serving Tex-Mex variety food, will soon be opening in Fulton as construction is under way for the new location. Hospitality Syracuse Inc., under parent company Hospitality Restaurant Group, is constructing a new building after purchasing the property located at 501-505 S. Second St. The Fulton Common Council approved the sale for $110,000 in March. A portion of the existing strip mall currently on the property that is unoccupied will be demolished before the restaurant will open for business, Jessica Woodburn, Marketing Director of Hospitality Restaurant Group said. Fulton Mayor Ronald Woodward Sr. said roughly half of the buildings in the strip mall visible from State Route 481 will be demolished. Currently, contractors are on site working toward demolition of the former building as well as construction of the new building. Woodburn said the store is anticipating a grand opening by the end of 2018, pending no unforeseen construction delays. The stand-alone restaurant will employ roughly 40-50 part-time and full-time employees, she said. Located in the same plaza as an “assembly line” Mexican style restaurant, Fajita Grill, local residents may remember a Taco Bell used to be housed in the same building at 451 S. Second St.
Woodburn said the former Taco Bell in Fulton was opened as a one-owner restaurant. She was unsure of the reasoning for which it closed. “We are a long time, well established, successful franchise group,” she said of Hospitality Syracuse, Inc. The group did not consider the close proximity to Fajita Grill when choosing a Fulton location, Woodburn said, given the different nature of food each restaurant serves. The franchisee owns 56 Taco Bell restaurants in central New York, three Taco Bell/Long John Silver’s combined units in the greater Albany area and two Taco Bell/KFC combined units in the greater Albany area, including Vermont and Massachusetts. Having looked at the possibility of opening a restaurant location in Fulton before, Woodburn said the timing was right when the opportunity arose. “It’s a great community right in our backyard. We’ve looked at opening a location here for a long time so when the opportunity presented itself, we thought it was a great time,” she said. Hospitality Syracuse Inc. received the appropriate permissions from the City of Oswego earlier this year to open a Taco Bell location in Oswego as well. 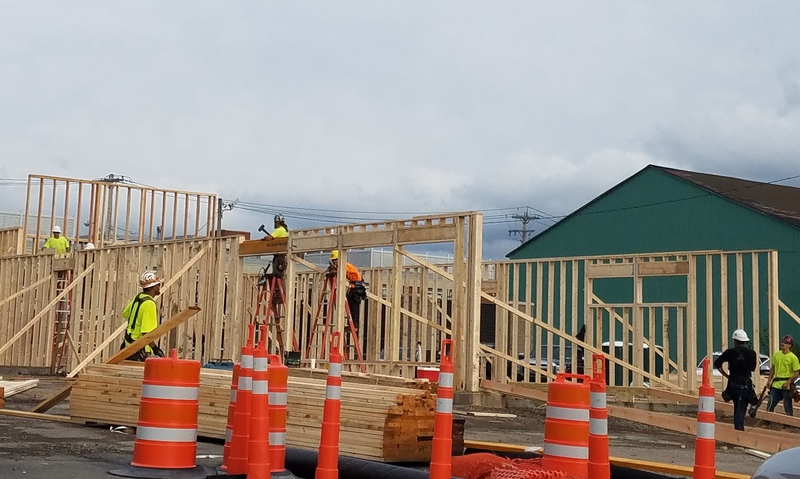 However, construction had been delayed for the building set to be erected on George Street at the former Ponderosa location. Woodburn said construction for the Oswego location is anticipated to begin in spring of 2019. Yup,they will demolish the buildings,and just leave it half torn down with piles of debris .Just like the Eye Sore at the Nestles site!